As consumer purchasing in the wine and spirits industry continues to flourish, the season is ripe to ensure your bottles are the ones that #OwnTheShelf. At Lorpon Labels, we firmly believe that your package is the face of your product—your first (and often only) chance to make an impression. So, in addition to communicating clearly, reflecting your brand and having visual appeal, your packaging should also be on trend with the rest of the market. Being able to stand up against the stiffest competition is how you’ll come to own that shelf space. 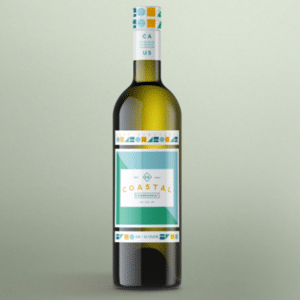 When it comes to labelling wine and spirit bottles (and beer bottles, too), pressure-sensitive (PS) label materials offer numerous benefits for customization and variable content. This ultimately allows brands to benefit from innovative design trends, while enticing consumers with vibrant packaging. 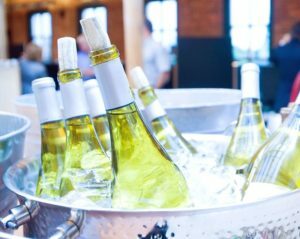 We’ve worked with our suppliers to highlight a few of these such trends that we all think will impact the wine and spirits labelling industry in North America this year. PS substrates allow for more intricate die cuts and unique label shapes. Brands no longer have to settle for conventional rectangular or square wine labels with square corners. Instead, think of complex die cuts, that can have ragged, rough or irregular edges shaped edges like saw-tooth or scallops… even internal cut outs are possible. Unique shapes and edges are sure to be more engaging, will stand out as differentiator on the shelf, and additionally have the ability to better compliment different bottle shapes for an added visual punch. 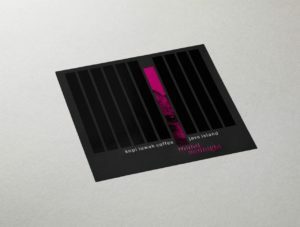 The capacity of PS label material to hold complex die cuts allows creative designers to work without limitations, have free reign with their designs, and truly create that stand-out look. Label designers are also more recently inclined to re-imagine label sizes, withPSsubstrates presenting the ideal canvas for this creative leap. With the old style cut and stack paper glue on labels, sizes and shapes were limited to the traditional rectangles, and only using a limited size range of labels for each type of wine bottle. 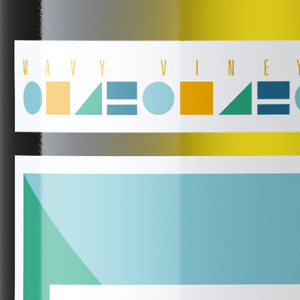 With PS labels, designers and wineries are able to change things up and move outside of the traditional look. We’re starting to see more bottles with different sized front and back labels on them or bottles with multiple front labels a primary and secondary. Additionally we are seeing bottles that are going for a more premium look by adding neck and cap labels. 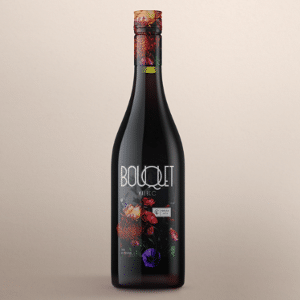 Having two or more smaller labels on the front of a bottle can certainly enhance your packaging with a more sophisticated look and guaranteed shelf appeal when compared to traditional back-and-front labels. 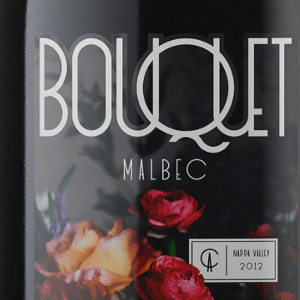 Dappled, micro-textured, felt, linen and vellum are becoming more widely utilized for wine and spirit labels. Why? These materials are optimal for embossing and foil stamping. Brands can now create a memorable canvas for a design that’s destined to appeal to a refined, yet younger, consumer. 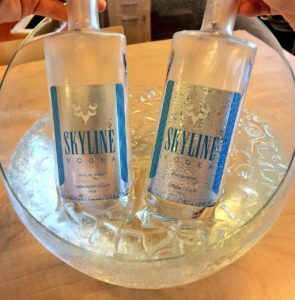 Lastly, we wanted to touch on the importance of waterproof labels in the wine and spirit industry, specifically for chilled bottles and those sitting in ice buckets. Wine bottles are also increasingly taken on the road in ice and water filled coolers… much to the chagrin of the baby boomer estate bottled wine drinker! A well known statistic is that the millennial generation is the largest consumer of wine, and they tend to have a different attitude when it comes to the noble grapes. No longer does “wet-strength” mean withstanding a traditional ice bucket in a restaurant or tasting room for an hour. The challenges of the wine bottle in a cooler are real, and the water exposure can be prolonged. To solve these issues a revolutionary range of waterproof, fine, self-adhesive papers is available on the market, offering the perfect solution for bottles that need to resist extreme moisture, humidity and abrasion. Our suppliers at UPM Raflatac are also answering the demands for more functional wine stocks that provide a textured look, with performance characteristics that stand up to today’s handling of wine bottles. “The trend now is toward materials that will stand up longer in ice-bucket environments and stand up to greater demands in handling and transport,” said Jean Wilson, UPM Raflatac’s Segment Manager of Wine, Spirits and Craft Beverage. Wilson noted that paper wine substrates with a “weld” on the back of the face sheet help the face paper stand up to long submersions in an ice bucket. Also, metalized wet strength papers for the champagne/bubbly/rosé market, such as UPM Raflatac’s Silvervac WSA product, will certainly stand up to the waterproof test in the toughest applications. “As millennials want portability in their wine packaging, the need for label stock that stands up to more handling is more and more common,” she said. Contact us today to discuss how we can help you produce a label that ensures your bottles are the ones that #OwnTheShelf.